Linda Burton posting from Des Moines, Iowa – When you decide to run for President, where do you go first? 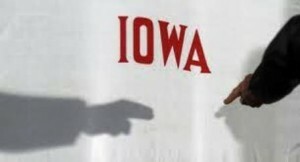 Hint: Des Moines, Iowa. 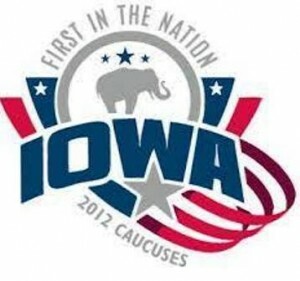 Iowa caucuses have been the first major electoral event in nominating the President of the United States since 1972; presidential candidates tend to set up headquarters in Des Moines early on. But politics isn’t the only reason people are attracted to Des Moines; it’s a major center for the insurance industry too; called the #1 spot for US insurance companies, and dubbed the third largest insurance capital of the world. Forbes magazine ranked Des Moines the Best Place for Business in 2010, and #1 in America’s Best Cities for Young Professionals in 2011. Do the names Principal Financial Group, Aviva Insurance, the Meredith Corporation, Ruan Transportation, EMC Insurance Company, and Wellmark Blue Cross Blue Shield ring a bell? They are headquartered in Des Moines. How did this up-and-going city get its start, and where did it get its name? Who got here first? The city was incorporated as Fort Des Moines September 21, 1851, so named because there was a fort here at one time. The word “Fort” was dropped in 1857 and it’s been Des Moines ever since; as for the fort, it was abandoned in 1846 but was the core from which the city grew. Its exact location was lost over time as flood deposits from the Des Moines River covered it over, but recently discovered remains are now being excavated. 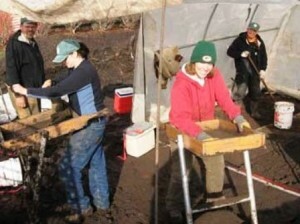 At Site 13PK61, the Office of the State Archaeologist is methodically unearthing foundations, fireplaces, tools, and food debris left by the fort’s occupants and the residents of the early town of Fort Des Moines, as well as earlier Indian people that may have lived in the area. Which brings me to the prehistoric villages. The juncture of the Des Moines and Raccoon rivers has attracted humans for at least 7,000 years. 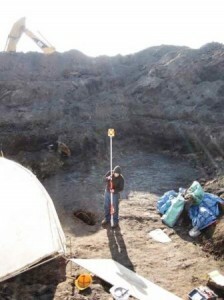 Several prehistoric occupation areas have been identified in downtown Des Moines by archaeologists; the “Palace” is an expansive site discovered in 2010 that contains well-preserved house deposits and numerous graves. It is believed that at least three villages, dating from 1300 to 1700, once stood in or near Des Moines. So who got here first and named it Des Moines? In the 1600s the French explorer Jacques Marquette mapped a village on the river occupied by the Moingona, a native group. The French expression “la riviere des moines” literally translates to “the river of the monks,” and one popular interpretation of “Des Moines” concludes that the name refers to French Trappist monks who lived in huts on top of what is now known as Monks Mound near St Louis. 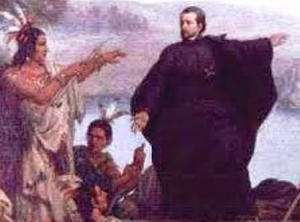 But “Des Moines” may simply approximate the name of the Moingona, who occupied the riverbank; and to further confuse the issue, “De Moyen” meaning “middle” was used to refer to the river that was midway between the Mississippi River to the east, and the Missouri River to the west. I cannot tell you how many dwellings there are, for I have not counted them; some are of logs, some of brick, some framed, and some are the remains of the old dragoon houses…The people support two papers and there are several dry goods shops. I have been into but four of them… Society is as varied as the buildings are. There are people from nearly every state, and Dutch, Swedes…. 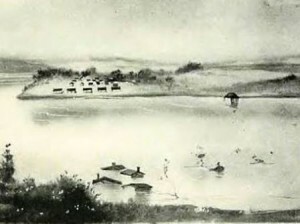 In May 1851, much of the town was destroyed as the Des Moines and Raccoon rivers rose to an unprecedented height; crops were ruined and houses and fences swept away. At that point, the city had a clean slate to grow on. It was 1857 when the word “Fort” was dropped from the city’s name, and it became capital of the state; official from the historical point in January 1858, when two oxen-driven bobsleds hauled the state’s archives from Iowa City. Though no significant battles were fought on Iowa soil during the Civil War, the state sent large supplies of food to the armies and the eastern cities, and 76,242 men served in the military, a higher percentage of its population than any other state, north or south. Des Moines women signed a petition pledging to replace working men, to free them to fight for the Union cause; after the Civil War, President Grant made a speech in Des Moines in which he reiterated a commitment to universal equality. During the last quarter of the nineteenth century, Des Moines continued to grow; wood-frame homes and mansions were constructed and the city’s cultural life flourished; the impressive state capitol building was completed in 1884. There are many colorful stories in the history of Des Moines; one such is about “Kelly’s Army” in 1894, when a thousand unemployed men on their way to Washington DC arrived; American writer Jack London was in the crowd. The town citizens greeted them hospitably, hoping to avoid any trouble; they were so nice, in fact, the men seemed reluctant to leave. The citizens of Des Moines solved the problem by constructing 150 flatboats to transport the men out of the city, and gave each one an American flag. The waving of the flags was the last sight of Kelly’s Army! Des Moines has distinguished itself in various ways throughout its history. 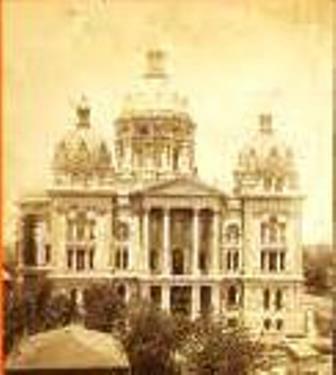 The Des Moines Plan, one of the first of its kind in the nation, streamlined municipal government and charted development, taking into consideration the city’s natural setting. In 1949, Des Moines was named an All-America City by the National Municipal League; the honor was repeated in 1971, then again in 1981. 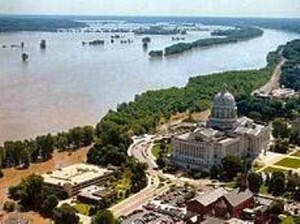 The city was immobilized in the summer of 1993 by another flooding of the Des Moines and Raccoon rivers. The state of Iowa was declared a national disaster area, and the city of Des Moines suffered more than $253 million in damages. But by the year 2000 Des Moines was humming with construction activity and at the dawn of the 21st century, residents were enjoying a changing landscape; new buildings were erected or underway, including a new science museum, new main library branch, and new conference venues. 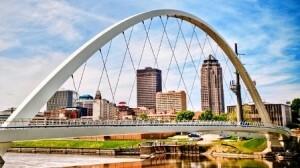 In 2003 Des Moines was again named an All-America City by the National Municipal League. Today, Des Moines is a member of ICLEI Local Governments for Sustainability USA, an organization promoting the United Nations’ Agenda 21. Through ICLEI, Des Moines has implemented “The Tomorrow Plan,” a regional plan focused on developing central Iowa in a sustainable fashion, centrally planning growth and resource consumption. The Des Moines and Raccoon rivers have attracted people to the area for thousands of years; a well-recognized quality of life seems good reason to stay. And keep in mind the next presidential election is only 40 months away; those candidates will be arriving soon.